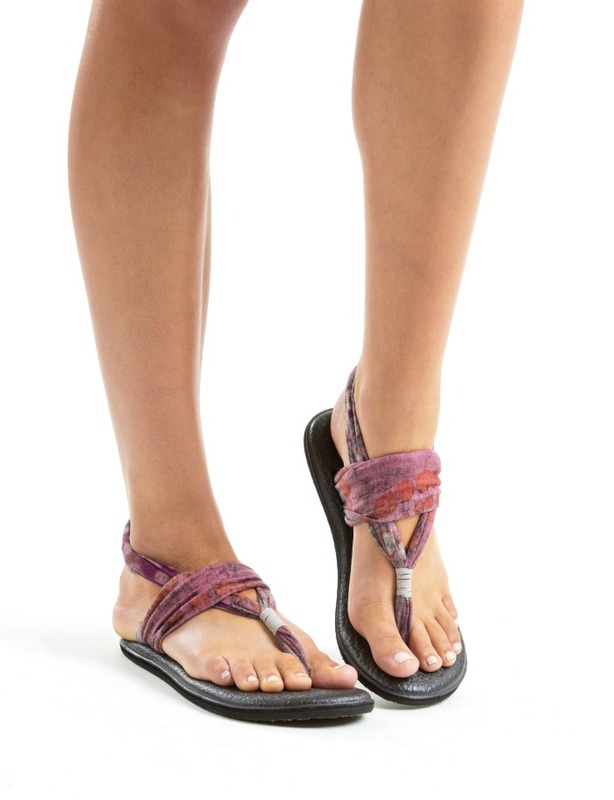 SANUK YOGA SLINGS: YOUR OHMMM AWAY FROM HOME. Pretty cute and catchy eh? But that is exactly what Sanuk's new Yoga Mat Collection sandals deliver as I learned yesterday from its exclusive launch at Beyond Yoga, The Fort. True to Sanuk's philosophy of combining comfort with fun, the event's theme revolved around anti-gravity yoga and it's co-relation with their newest release, the Yoga Sling sandals. Unlike traditional versions of yoga where practitioners are relegated to slow, steady floor work, anti-gravity yoga has people hanging from cloth slings that reach down from the ceiling. Poses are done while relying on the sling to ease your body into them, allowing you to lean, swing, and even invert yourself on the way to exercise and relaxation. There’s zero compression thanks to the sling, and you’ll be “ooh”-ing and “ahh”-ing as you sway weightlessly in the air – just like a walk in the Sanuk Yoga Slings. Sanuk's Yoga Slings are the most comfortable pair of sandals I've ever tried on and I am absolutely smitten with my black pair, no bias. :) The yoga mat sole is soft and bouncy while the straps are strategically placed in such a way that it covers the veins and other unsightly areas of my feet. They also don't chafe even after hours of walking. Add to that the fact that they are vegan and vegetarian, Sanuk's Yoga Slings truly say "Namaste" to style, form, function and fun!